University of California, Santa Barbara, California B.A. Caitlyn received her Bachelor of Arts from the University of California, Santa Barbara with a major in History of Public Policy. She went on to receive her Juris Doctor degree from California Western School of Law, where she was a Dean’s List student and Public Service Honors member. During her time at California Western, Caitlyn served as Phi Alpha Delta International Law Fraternity Co-Recruitment Chair and Student Bar Association 3L Student Representative. She was also recognized for and received a Public Service Honors award for the 2016-2017 school year and Academic Achievement awards, including: “Skills Training for Ethical and Preventive Practice and career Satisfaction” (STEPPS Program); and Child Welfare Law & Policy. Throughout law school, Caitlyn worked at the Family Law Facilitator’s Office in the San Diego Family Law Courts. At the Facilitator’s Office, Caitlyn assisted unrepresented parties with family law issues, such as divorce, child custody and visitation, child and spousal support, paternity, and domestic violence restraining orders. Caitlyn also gained valuable Alternative Dispute Resolution (ADR) experience through California Western’s ADR class, where she learned specific techniques such as arbitration, mediation, and negotiation. She is successfully able to practice the fundamentals of ADR utilized by courts and attorneys. 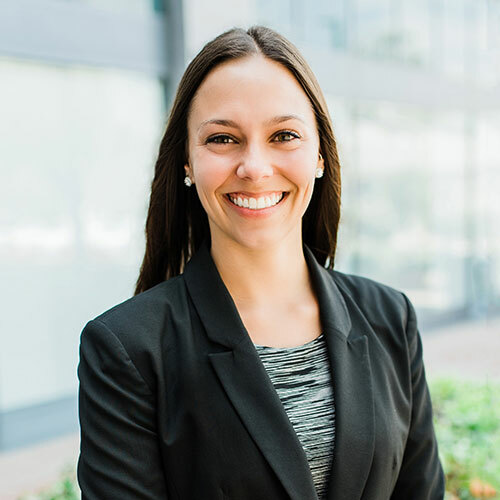 Caitlyn became a part of Wilkinson & Finkbeiner, LLP in January 2017 as a certified legal intern through California Western School of Law’s clinical internship program. She later promoted to law clerk, and is now an associate attorney in the firm.